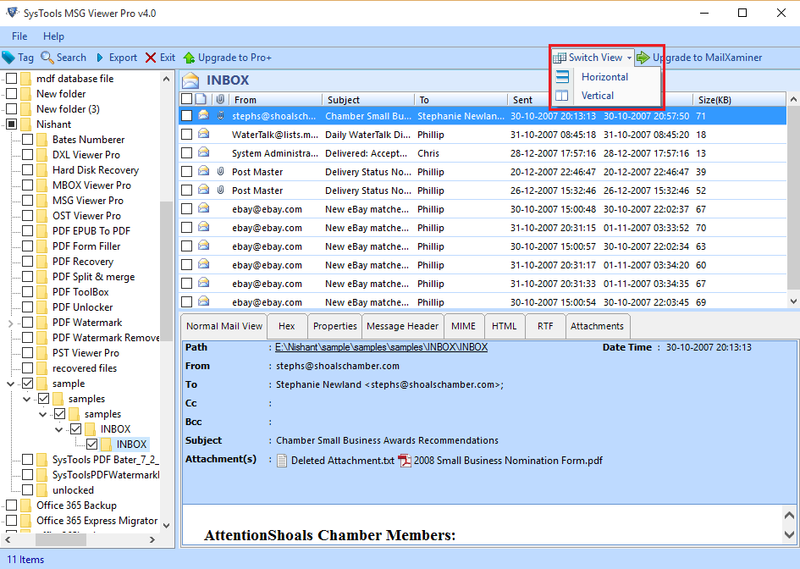 MSG File Reader allows users to view email content with the proper formatting. With his exclusive tool, users can easily read MSG file emails along with its attachments. Moreover, it display complete properties of MSG such as From, subject, sent date, received date & size in KB. With this MSG File Opener users can read Outlook MSG emails in multiple styles. Different viewing modes such as Normal view mode, Hex view, property view, message header view, HTML view, MIME view, RTF view are available. Also, attachments can be previewed in the respective tab. MSG Viewer facilitates the user to search within emails or attachments. With the advance search option user can filter emails and attachments by using any keyword or phrase. Moreover, users can also add different criteria to perform more defined search. Browse and analyze MSG File emails & attachments. Independent tool to View and Forensically Examine MSG file. How can I open & read MSG file by Outlook MSG File Viewer? What is .MSG File ? It is a mail message file which is created within Outlook email client. Basically, it is a separate file for each email. 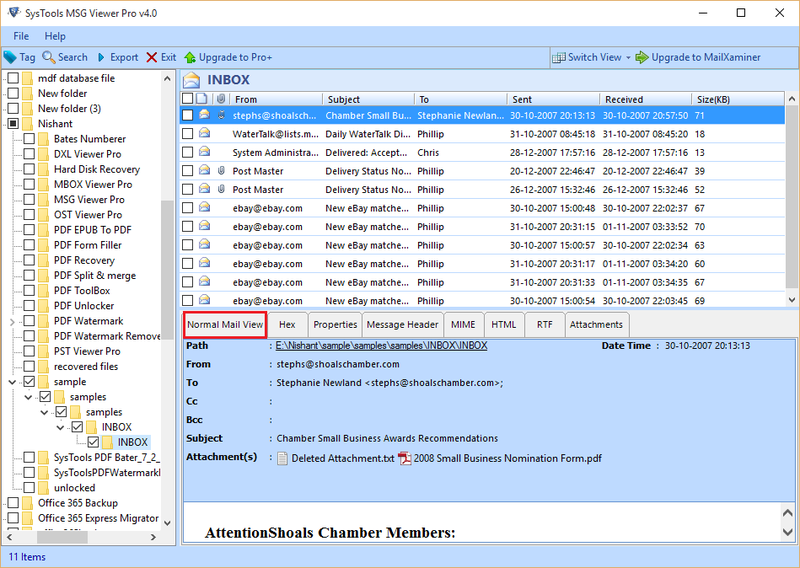 Moreover, emails within MSG file contains information as date, sender and sender information with other data as subject and body content. Is MSG Viewer a completely free software? Yes, MSG file Reader is totally free of cost to open and read MSG files. Users can use it for reading and performing search within Outlook MSG files..
Can I use Outlook MSG Viewer tool on Mac Machine? No, MSG File Reader software is completely a Windows based utility i.e you can run it only on Windows platform. I don't have Outlook installed on my machine. But, I want to view MSG file data. Is it possible to view them by MSG file viewer? Yes, you can easily view MSG file by using MSG File Opener. It is a standalone tool which doesn’t require MS outlook or any other supportive software to be installed on computer machine. Moreover, you can easily open MSG file of any size. Can I run MSG Viewer on my Windows 10 Operating System? Yes, of course this Outlook MSG File Viewer is compatible with all Windows versions. Not only this, MSG File Opener provides a unique feature to open MSG file contents in a fraction of time. What Client Says About MSG Viewer Tool ? “We can view MSG file without Outlook installed! It was an awesome news for me. 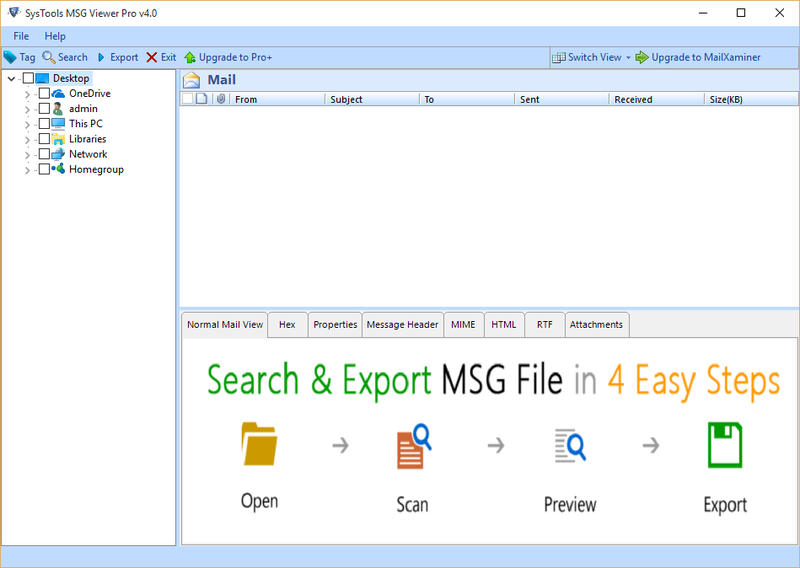 It proves that the software MSG File Viewer is the best choice to open MSG file. Now, I can easily and quickly read MSG file contents in a very short span of time. Thanks a lot to the development team for making such a great MSG file reader software."